In Scotland, May is whisky month. And in case you were too busy drinking whisky than to read about it, here’s a round-up of all the latest whisky news. Glenrothes Distillery has been bought back by previous owners, Edrington, from wine and spirits merchant, Berry Bros & Rudd (Scotch Whisky). Aldi’s Highland Black 8 Year Old Whisky, which is priced at just £12.99 a bottle, beat off competition from big rivals at the International Spirits Challenge (AOL). And the Ardbeg Kelpie was named Whisky of the Year at the International Whisky Competition Awards (Insider). 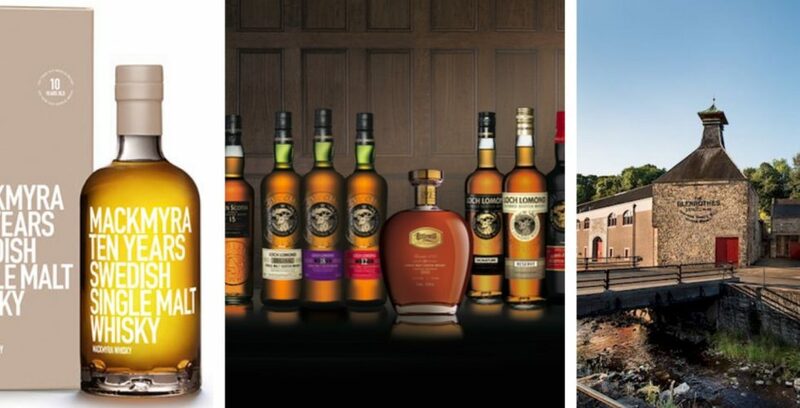 Loch Lomond Group has secured a major new distribution deal in China (Insider). Following the successful relaunch of its Queen Street branch last year, the Scotch Malt Whisky Society is to open a new bar in London from 2 June (Bar Magazine). Edinburgh’s Scotch Whisky Experience has also opened a new display dedicated to ‘The Fathering of Blending’, Andrew Usher (Scotch Whisky). On The Rocks festival will take place on the Isle of Eriskay this June, which is inspired by the remake of Whisky Galore! (Press & Journal). World Whisky Day founder, Blair Bowman, set a world record for the number of whisky distilleries visited in one day (The Drinks Business).